Welcome to EMPIRE SUITES, a downtown hotel that brings together lasting comfort, remarkable style and an exceptional service in a unique environment. Located in the heart of downtown, this lively hotel is steps away from the old port of Montreal & the Quartier des spectacles. Neighboring all legendary attractions like the Just for Laughs Festival, Notre-Dame Basilica, the Museum of Contemporary Art & the Congress Center, making us the perfect choice for business or leisure. This charming hotel surrounds Montreal’s famous underground shopping district, 140 restaurant choices on St-Denis street & sits in Montreal’s famous night club districts. Discover and relax while away from home. 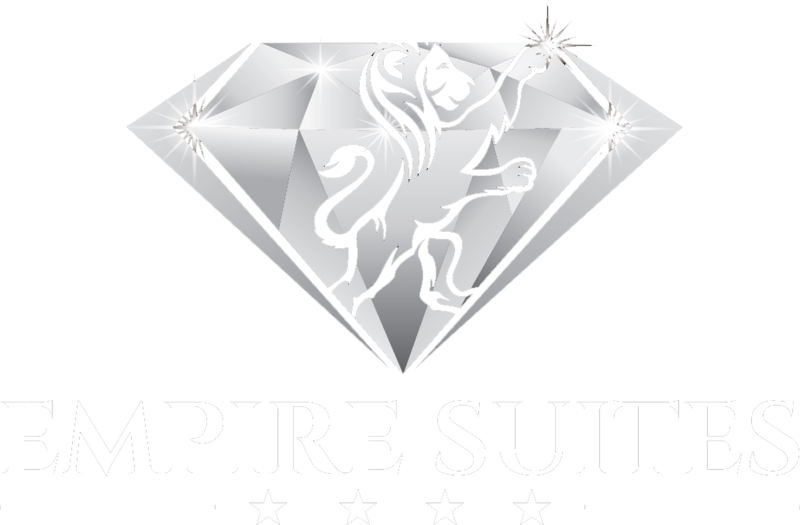 Empire Suites will ensure that you have everything you need to be at your best – whether your stay is a quick weekend getaway or a weeks-long trip.